This past Sunday, those in attendance at ISBC had the privilege of witnessing the baptism of Taylor Gipson. Taylor accepted the Lord and was saved a couple of weeks ago. To make the day even more special, his mother and step-father also joined our fellowship! God bless you, Taylor, as you grow in Jesus! This entry was posted on June 2, 2009 at 8:28 am	and is filed under Baptism. 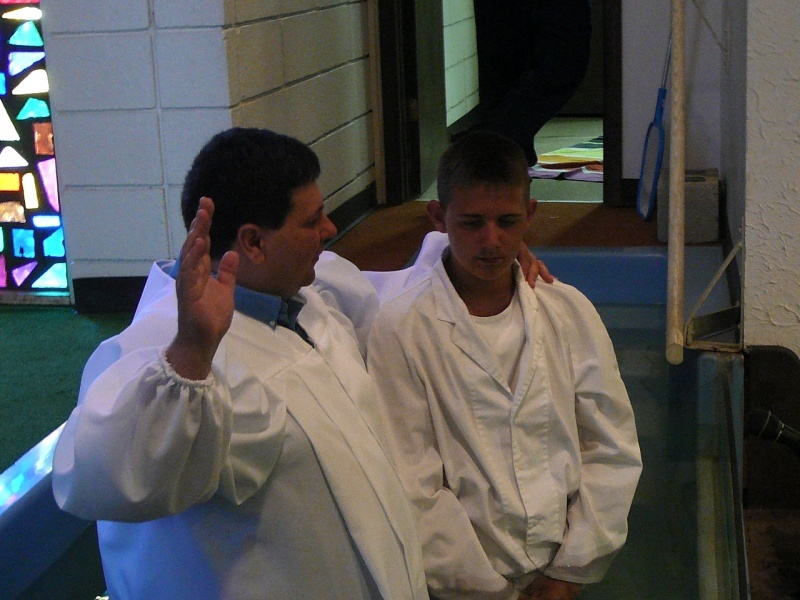 Tagged: Baptism Pictures, Taylor Gipson. You can follow any responses to this entry through the RSS 2.0 feed. You can leave a response, or trackback from your own site.